'Far Tottering & Oyster Creek Railway - Booking Office and station Buffet'. 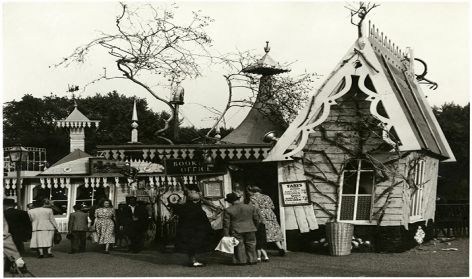 Festival of Britain Pleasure Gardens (1951). Designer: Rowland Emett. Architect: Harrison & Seel. Catalogue number: LJG-2-6-1-39. 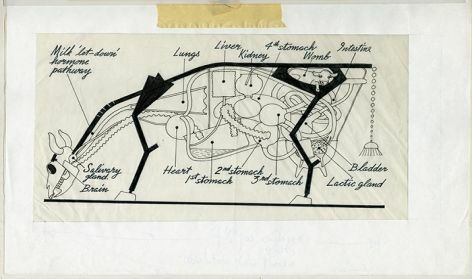 'Daisy the Mechanical Cow'. S.E.A.R.C.H. 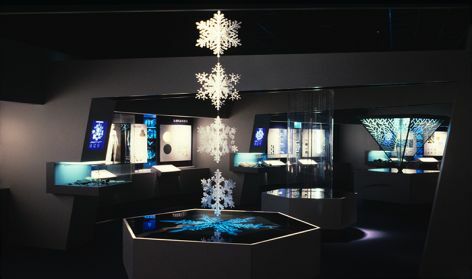 Scientific Exhibition, Geological Museum, London (1972). Catalogue number: LJG-2-30-2-6. 'Central Feature, Australia Section'. Commonwealth Institute, London (1957-1973). Catalogue number: LJG-3-3-2-39. 'View of a section of the interior'. National Museum of Natural Science, Taiwan (1986-1988). Catalogue nuber: LJG-3-22-4-8. 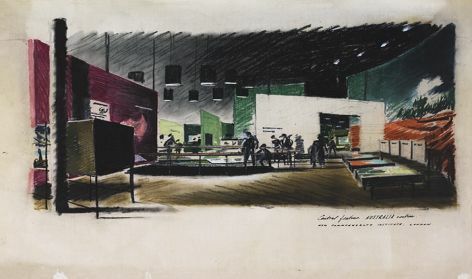 James Gardner (1907-1995) was one of Britain's most imaginative post-war designers. Best known for his exhibition work, he applied his skills in a variety of contexts; from illustration to ship design. The archive comprises works on paper that describe individual design projects together with business correspondence and private papers. Original plans and drawings relate to major overseas exhibition projects, among them, the World's Fair, Brussels (1958) and the Museum of Tolerance, Los Angeles (1993).